Mercedes-Benz and Toyota received the highest rating for brand perception among 30 automotive brands on the basis of familiarity, quality and intent to buy in the 2013 Harris Poll EquiTrend Brand Equity Index (EQ). Five years ago, when the bottom fell out of the mortgage markets and automakers needed bailing out, a great many consumers put off buying new cars. "After hitting the brakes on spending during the height of the recession, consumers have re-entered the automotive market in 2013 with a pent up demand for luxury brands," explains Mike Chadsey, Vice President, Solutions Consultant at Harris Interactive. "Brand equity for almost half of the luxury automotive brands measured is at all-time study highs." Harris Poll used an online survey to contact a large pool of US consumers for the EQ, polling 38,814 people on their preferences and perceptions of various brands. The study is weighted to reflect the national population of consumers over 15 according to gender, level of education, race, ethnicity, location and income, as well as the age sensitive variable of their likelihood to be online. This is the same model the firm has used to become one of the foremost polling authorities for political elections. Mercedes-Benz was found to be Luxury Auto Brand of the Year for the third consecutive time in the 25th annual rankings, but luxury brands across the board show higher numbers. The EQ simply ranks the brands in order, with the only other criteria being their position in regard to average scores in the resulting list. 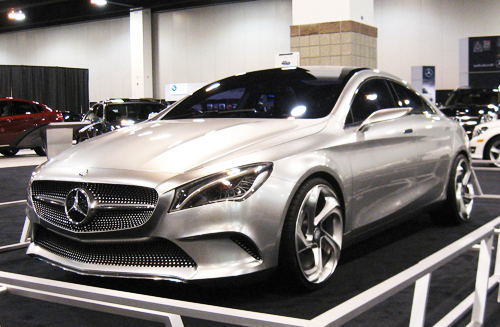 Mercedes-Benz was marginally above BMW, followed by Lexus, Acura, Infiniti, Porsche (the brand’s first inclusion) and Audi, that crossed the average line for the very first time. The remaining luxury brands that still fall below the average are Cadillac, Jaguar/Land Rover, Lincoln, Tesla and Volvo. Notably, the gap between Mercedes and the other top luxury brands in public perception and estimation is beginning to shrink. While 16 different nameplates were considered in this category, only five had numbers above the average level. Toyota has been named the Full Line Automotive Brand of the Year five out of the last nine years. The competition between Chevrolet, Ford and Honda for this top spot is ongoing and each has claimed the distinction at least once during the last decade. The other brands considered to rate above average this year included Honda, Chevrolet, Ford and Nissan, in that order. Brands in this category falling below average in the Harris Poll rankings consisted of (in alphabetical order) Buick, Chrysler, Dodge, Fiat, Hyundai, Kia, Mazda, MINI Cooper, Mitsubishi, Subaru, and Volkswagen, . To an ever-growing extent, consumers shop for vehicles online and Kelly Blue Book or kbb.com was found to be the top rated 2013 Online Auto Shopping Brand of the Year. Also highly trusted by online auto shoppers is Edmunds.com in second place. Online sites falling below the average level of consumer perception included AutoTrader, Cars.com and eBay Motors. In conclusion, these rankings are not etched in stone, but are representative of generalized public perceptions of these brands, as determined by the Harris Poll EQ study.